Home > ADRL > Ekanoo > Ekanoo Racing > OFFICIAL: EKanooRacing retiring the Pro Toyota GT-86 & Drag T1 Nissan GT-R! 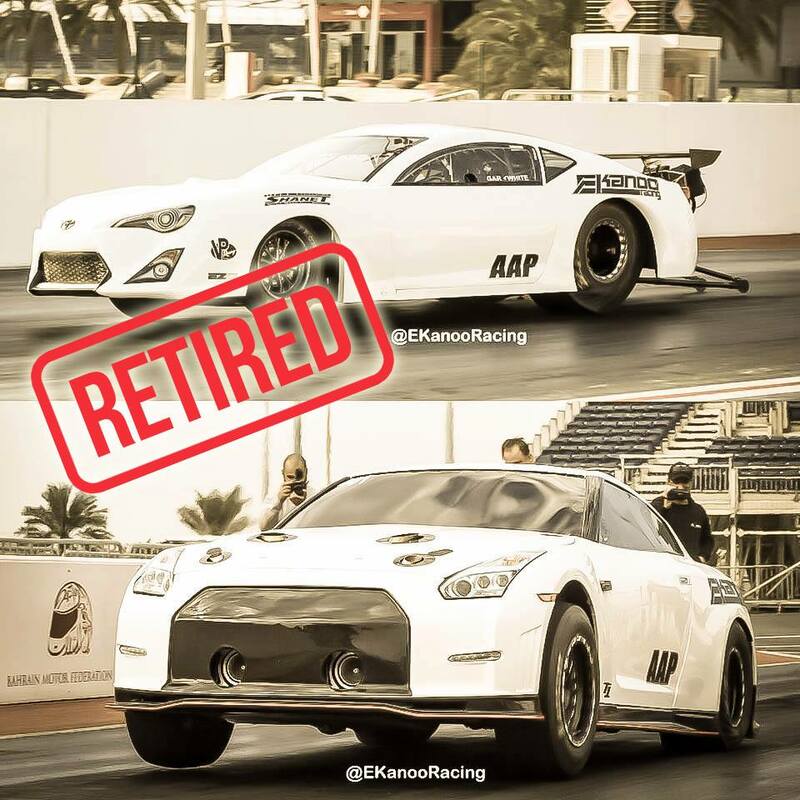 OFFICIAL: EKanooRacing retiring the Pro Toyota GT-86 & Drag T1 Nissan GT-R! The ground is shifting…and Ekanoo has seen it! How do you retire a race car!? Especially one which has world records under its wings and a couple of good boost still stuck in its hood! How? 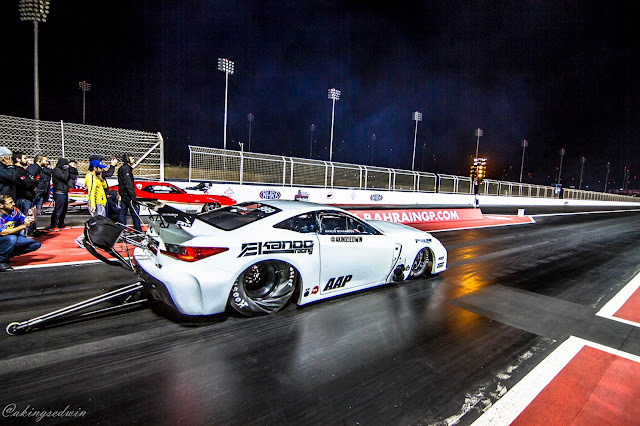 EKanooRacing retiring the Pro Toyota GT-86 & Drag T1 Nissan GT-R! Well Ebrahim Kanoo, the genius mind behind Ekanoo Racing – a powerhouse in innovation and creation in drag racing announced today officially benching the Pro Toyota GT-86 and the only dod of thunder,the T1 NissanGT-R today we told you about last 3 months. The news came in as a shocker to us at Race It especially the T1 GTR which at its time of life was the 2nd quickest GTR on planet, and one we had hoped would be trolling the world record R35 to the 6s this week. We must admit witnessing that thing run down ¼ mile in Bahrain was one hell of a ride we will never forget. The Pro Toyota was a but hurt for many racers setting and resetting world records in this class both in US and world! Retiring two world class project cars at the same time is one hell of a decision to make as admitted by Bahrain drag racer and enthusiast! ‘After the end of the 2016-17 Bahrain Drag Racing Championship, my team and I have decided to retire two cars from our Drag Racing program; the Pro Toyota GT-86 and the Drag T1 Nissan GT-R! This was a very hard thing to do, but we feel this decision comes at the right time since we want to move forward with other programs and projects in our portfolio, and concentrate more on the different classes in our Drag Racing program, and we know that this would not be possible while running with all the classes we have right now.’ Ebrahim Ekanoo regrets on Facebook. It’s not yet clear what he is going to do with these cars. Sell it to some race teams!? Or keep them as trophy cars in his Manama private collections? Kanoo is yet to make his mind.But this could be the twist. Ekanoo Racing after battling it out with equally great racing teams in Middle East with their Pro RCF Lexus in the Pro Mod class, a car that was merely a project afew months into the racing season in the Gulf and already enjoying world spot as one of the few quickest pro boost car in the world, must have been the mind changer for the Bahrain based team. 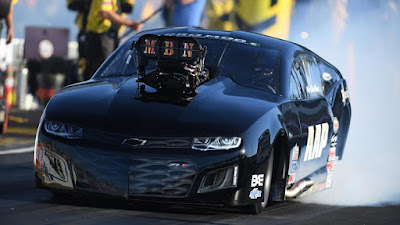 It’s likely we are going to see them race the PRO RCF Lexus which by all measure is a ghost jet and rocket in tire and the Super Street V8 Lexus! The ground is shifting s lets tilt with it!